Madrid is one of the liveliest cities in Europe and as it always has something to do, it’s easy to get an overwhelming attack of FOMO (fear of missing out). Since there is constant sunshine it’s easy to enjoy outside events like street markets, concerts, and drinks on a terrace but the fun doesn’t end when the sun goes down. Madrid is infamous for its happening night life that goes on until the sun rises once again. No matter how long your time is here in Madrid, it offers lots of irresistible and unique experiences and people just love to write and blog about this beautiful city. There are hundreds of blogs about Madrid that can make your planning easy and thorough so that you can find out about everything that’s going on in the city. Here you will find a list of our top picks for the best Madrid blogs, whether you are looking for things to do, fashion, places to eat and drink, night life spots, sports and tips from locals. Let’s get started! Be Madrid gives great information about the city for young travelers and those studying abroad. They provide survival strategies, internship opportunities, useful apps, inexpensive excursions, and affordable housing options. Besides all this, they host lots of fun, inexpensive events where you can meet like-minded people or even book a trip to explore more of Spain. Lauren Aloise, co-owner of Devour Tours, writes about food, culinary travels, and finding love in Spain. You will get very authentic advice on Spanish cuisine, as well as delicious Spanish recipes. On this blog, you will find many free or extremely cheap activities to do in Madrid. The blog also includes content about dancing, music, and volunteer organizations such as Human Libraries. If you’re looking for a hip and off-the-beaten-path restaurants, Naked Madrid will help you discover them. Besides this, it includes info on art, activities, markets and detailed summaries about popular neighborhoods in the city, like Sol, Gran Via, and Canal. 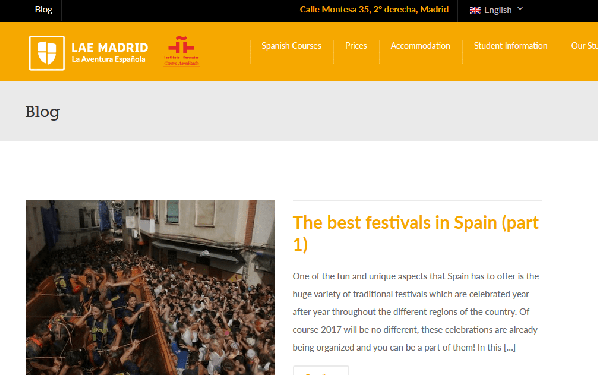 Since it’s the official blog for the city of Madrid, it talks about a wide range of activities such as music, concerts, art, shopping, food, and more. You can get a full calendar of city sponsored events for 2017 and download maps and guides of the city for free. This Spanish blog includes posts about hip bars, cafes, stores, day trips, and restaurants. Essentially, it has a bunch of cool things to do and eat in Madrid. You can download their guide on what to do for 48hous in Madrid for free when you subscribe to their email list. We love Go Madrid’s map section that not only has the typical street view and metro map but also maps on where to find Free Wifi and Irish Pubs. 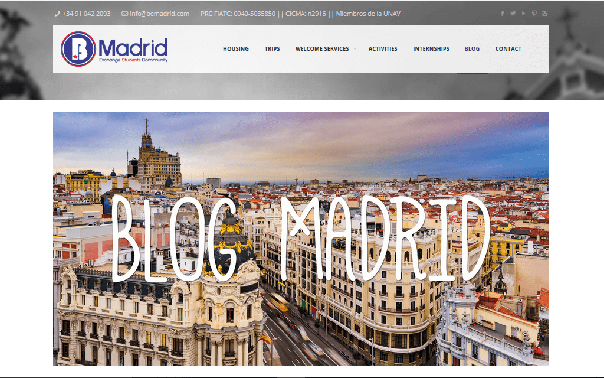 The blog is very well organized and has a lot of useful info on accommodation, what to see and do in Madrid and much, much more. Although the focus of this blog is travel in general, the section on Madrid is quite helpful for those traveling on a budget. In the tips section, the blogger includes information on frugal spending habits in Madrid, and what you can do on a budget in the city. The blog gives information on family travel and traveling with kids, and their Madrid section is full of great advice and recommendations for activities that the entire family will enjoy, as well as, good picks for places to eat. This blog emphasizes multiple cross-cultural stories about personal experiences with food in Madrid. There are also anecdotes about the blogger’s interpretation of the Spanish lifestyle. Restaurant reviews, day trips from Madrid, and places to shop are all covered in this blog. It has affordable suggestions for activities in Madrid, like comedy shows, movies, and plays. This is the blog that locals follow. It’s written in Spanish and has a ton of information on the city and special events and activities going on. It also has information on historical facts, squares, streets, and vintage photography. This blog is for female travelers who are taking on the world alone and covers practical travel tips for women traveling solo. The article on Madrid highlights some of the most typical places to visit if you are in Madrid. You will find very general and evergreen content in this blog, like sights to see, practical info about Spain, yearly recurring events, and other overall info for those traveling to Madrid. Here expats can learn how to effectively prepare before moving to Madrid. This blog is very informative and has a lot of insider’s tips when it comes to finding the perfect accommodation when you decide to live in Madrid. This is a general travel blog that has a really nice post and video on the top 25 things to see in Madrid. It also covers info on cultural eats and where to find green space in the city. Daniel Welsch, writer for Lonely Planet, is ‘Mr. Chorizo’: a veteran Madrid expat who has been living in the city for 10 years, he has insightful and controversial views about Spain and Madrid. The posts are quite entertaining and easy to read, even if you don’t agree with everything he says. 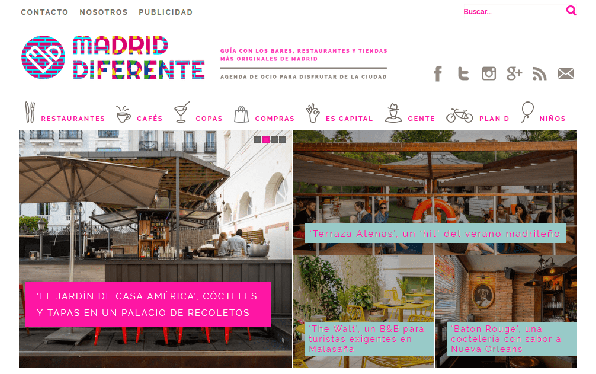 If you want to be in the know of the coolest and newest trends in Madrid, then check out this Spanish blog. You will find out about the hottest restaurants and bars in the city, as well as cool events. We definitely recommend checking out their Instagram account for amazing photos of the city and more tips. This is a blog that started out as a way to keep in touch with the author’s friends and family, but has transitioned into a source of useful information for anyone thinking about studying abroad or teaching English. 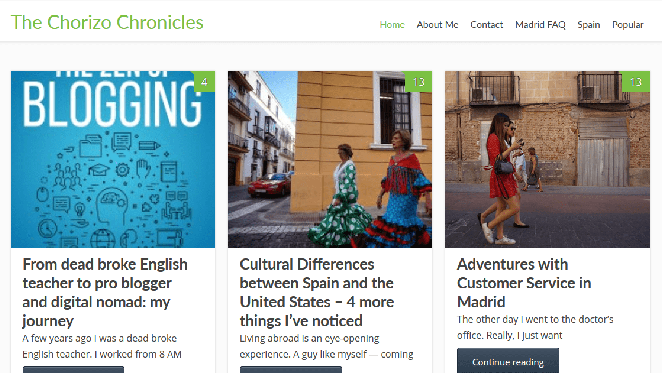 It includes tips on where to go grocery shopping, how to find an apartment and best practices for teaching private English classes in Madrid. Here you will find great recommendations for places to eat in Madrid. In addition, there’s a great filters list, so you can search for places with a specific price tag, in a specific neighborhood or by choosing a food type. This is a personal blog about the author’s life in Madrid and her travels all over Spain. In addition, there is a detailed strategy about how to make the most of your experience in the city without spending too much money. You need to be registered to read it, but it’s totally worth it! Driftwood Journals actually focuses on Barcelona but has a nice short section on Madrid that talks about the best wine tasting areas, tapas bars and things to do in the city. Written by a cute Spanish foodie couple, Susana and Fabio, you get elaborate recommendations for good food in the city in blogs that put you right in the moment and give you the feeling that you’re the one dining. 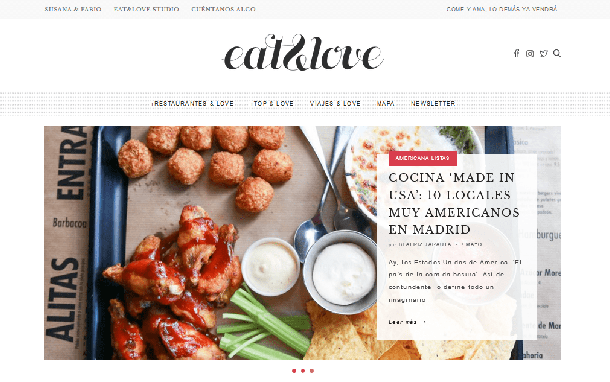 This is THE blog for foodies in Madrid. 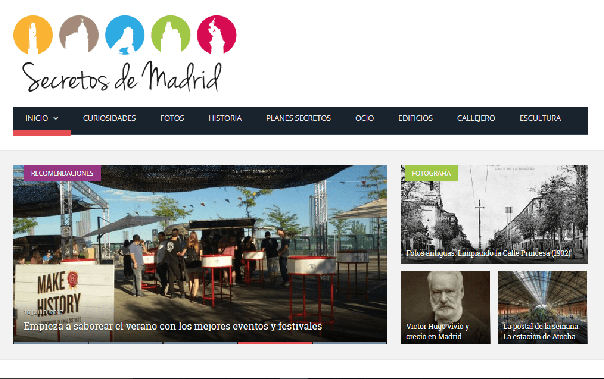 Madrid’s council runs this blog to connect young people with activities going on throughout the city. You can choose to get information by neighborhood or by activity, such as sports, career advice, and volunteer services. The blog gets the name from a popular Spanish expression which means someone who appreciates gourmet food, essentially ‘foodie’ in Spanish. 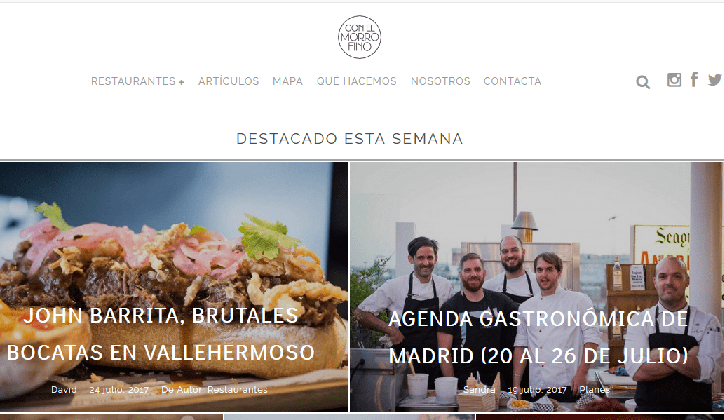 Besides giving lots of info on the hippest restaurants in Madrid, they often have giveaways to exclusive events that they promote on their social media. This is a cute post of how clever parents made a treasure hunt for their kids to explore Madrid in a fun way. It’s a great way to see the main sights and keep children involved and engaged. Fashion in the Street brings you the latest fashion trends in the city and adapts them to your lifestyle and body type. You can get lots of great ideas and tips to make your wardrobe super stylish. This blog is from an Erasmus, college study abroad program, perspective where you will find recommendations for useful apps, healthy eats, rooftop bars and the most popular things to do in the city. 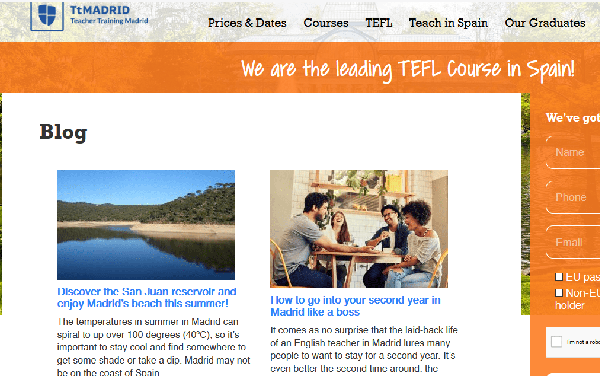 On our blog, you will find info not only about the TEFL and ESL world with great resources and tips but also plenty of info on the city like where the best nightlife is, pools in Madrid, public transportation and the list goes on. Make sure to check it out if you are planning to or currently live in Madrid. This blog is for members of the site who can find information about health, beauty, food, and culture. There are also multiple restaurant reviews, recipes, and content about fashion and design. 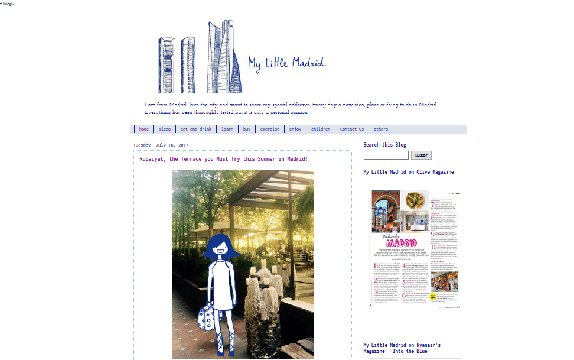 Learn about all things Madrid from this native ‘madrileña’ who not only gives great info in English but also has made a cute cartoon character of herself that is spotted in all the posts. You can find info on everything from nature in the city, the cost of living in Madrid, and fabulous food to try to cycling trails, and the most efficient ways to get around the city. 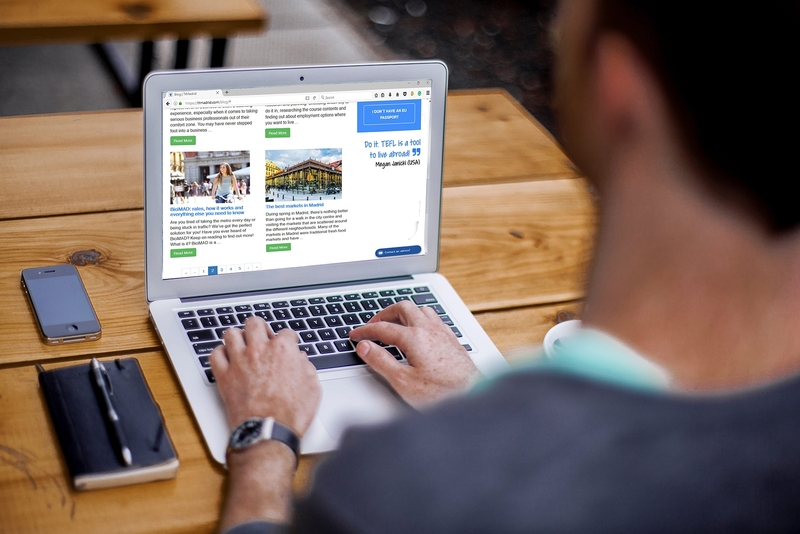 As one of the most popular sites for the expat community in Madrid, there are constant updates on jobs, language exchanges, events, and housing. The site is very simple to navigate and the content is well-organized and extensive. The blog covers many cities in Spain and Europe but the section on Madrid is extensive and up to date with things going on in the capital. To get great guides on what to do and never be bored, check out this blog. If you like to be in the know of the latest fashion trends, this is a blog that focuses on what is hot in Madrid. You can subscribe to get the latest posts sent directly to your inbox. This blog is for Real Madrid soccer fans. They feature team updates, game status, and general news about Real Madrid. 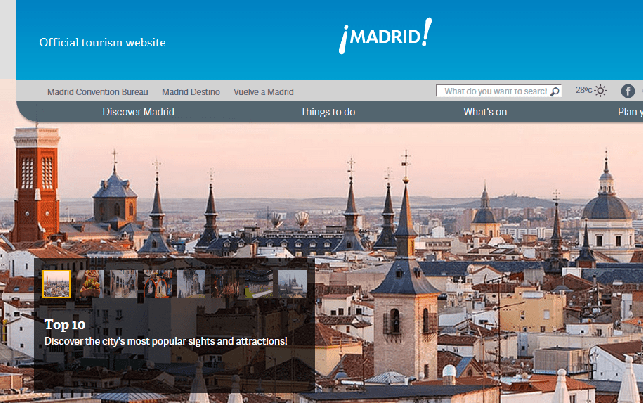 To find out what to do during your leisure time in Madrid check out this Spanish blog. There are recommendations for music, bars, restaurants, art, theatres, and free museums. Also, there are suggestions on what neighborhoods to hang out in according to your personality. This blog from our sister Spanish school is ideal for Spanish students in Madrid and gives advice on learning the language and Spanish culture. Besides that, there are plenty of tips for someone who comes to study Spanish short or long term in the city like sightseeing, restaurants, public transportation, etc. This blog is dedicated to the best bars, cafés, live music and clubs in the city center. They are nicely organized by area and type, and has a nice interactive map if you prefer to check out the info that way. If you are in search of the very best restaurants in Madrid, look no further. This blog includes recommendations for the top food destinations in the city, as well as general information about gastronomy. Check out their Instagram account to see lots of yummy food that you can find around the city. Madrid has so much to discover, it is easy to get overwhelmed so make sure to do your research beforehand to make the most of your experience during your stay in the metropolis. With all these fantastic blogs you should have no problem filling your days with food, culture and everything in between. Now you will be ready to explore Madrid like a true ‘madrileño’! Thinking about living and working in Madrid? Take a look at our Spanish and teaching abroad program with a one-year visa. It could be exactly what you’ve been looking for to kick-start your adventure abroad.